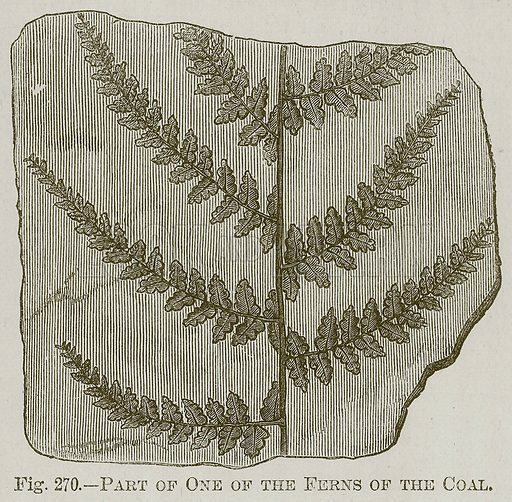 Part of One of the Ferns of the Coal. Illustration for Cassell's Book of Sports and Pastimes (Cassell, c 1890). Available worldwide for immediate download up to 4,040 x 3,960 pixels.